A group of shocked cyclists captured video of the moment a drone operator nearly pulled off a high-tech bike theft. The video, recorded in Hustopece, Moravia, Czech Republic, shows the cyclists climbing a local landmark known as Lookout Tower and taking video of a drone flying nearby. 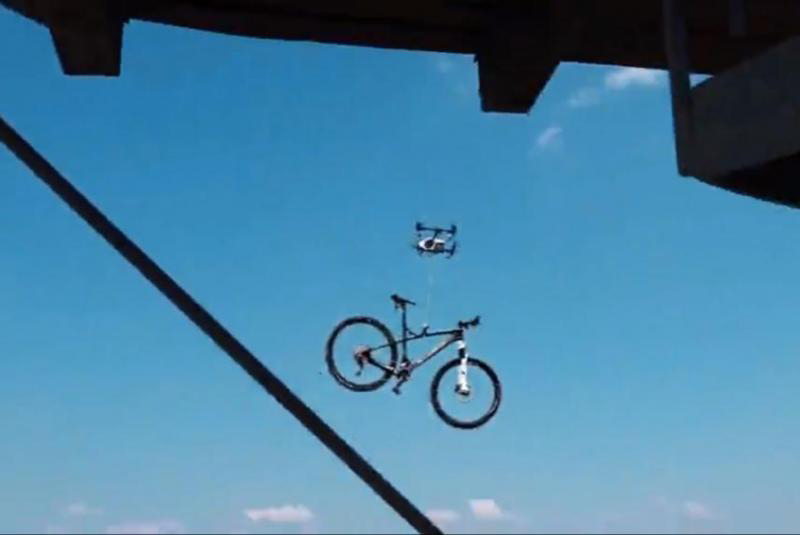 The cyclists start scrambling down the tower when the drone lowers down to the ground and picks up one of the bicycles. The drone starts to fly away with the bike, despite one of the cyclists trying to stop it by throwing his helmet at the device. The video ends with the cyclists chasing the drone on foot. The filmer said the drone dropped the bike a few hundred feet away.